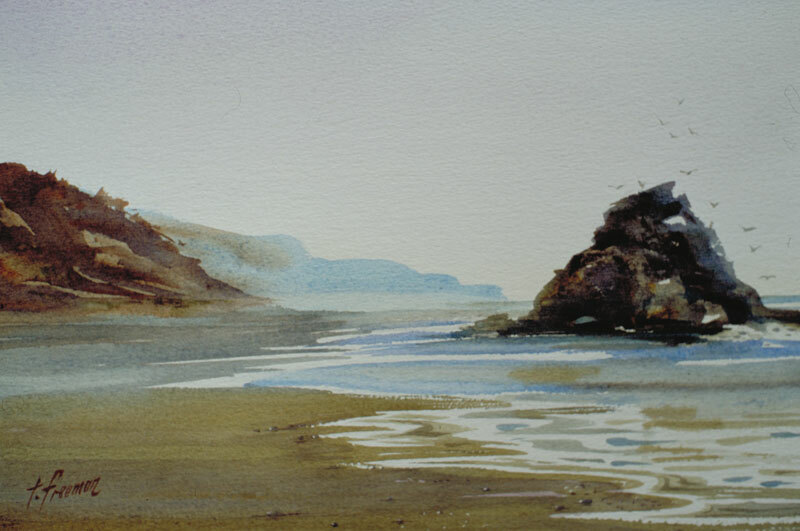 Thomas Freeman Original Watercolor Painting: "Mendocino Coast"
Obviously California's North Coast, somewhere south of Mendocino. Typical coastal weather, foggy and overcast. I just love those outcroppings of rock you get up there, their reflections in the water, the sharp, jagged edges. I developed this watercolor from a sketch made on the scene.